I want to know what my blog peeps like reading. Are you a genre jumper or loyal to only one? Do you read to escape or to broaden your mind? Who are your favourite authors? I'm a genre jumper and read lots of different genres and types of books . Since I've been writing romance though I have immersed my self in love and HEA's gobbling up stories across the romance spectrum from sensual and sweet to down right dirty and gritty, to the paranormal, to tales of the apocalypse. 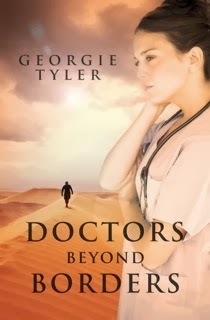 My debut romance novel, Doctors Beyond Borders, is set in Sudan with a brief interlude in Mykonos. Yeah, you got it, there's doctors helping the sick, but also warlords, danger and lots of heat! In the coming months I will tease you with snippets up until its New Year release. Please let me know what you think. But for now I'd love for you to stop by for a chat.